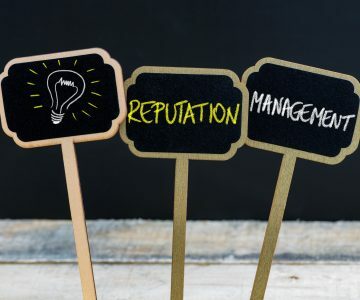 For modern businesses, there are few marketing tools more essential than a strong online reputation management (ORM) strategy. In bygone eras, the average consumer was most likely to trust and engage with a company based exclusively on the recommendations of friends and family or a reputation established by word-of-mouth within the local community, but today that trust has been redistributed to the opinion they form of a company based on what can be learned about it via search engine. Today, having a positive online reputation plays a key role in a business’s success by allowing owners to control some of what potential customers see when they use a search engine to research the company, and statistics show that they will. Based on data gathered by the marketing firm Edelman, around 65 percent of people today trust online search as a tool for gathering information about a business more than any other online or offline source. Companies that choose to engage in ORM practice to benefit their business should be aware of the following common mistakes that many people make when attempting to boost their image online. The first ORM mistake that business owners must avoid is probably the most common: assuming that your company doesn’t need an online reputation management strategy. Just because your business’s reviews and search results happen to be largely positive today doesn’t mean they will be tomorrow. And if your business has a sparse, “barely there” Web presence, you’re even more vulnerable. Your online reputation can change in an instant, often for reasons completely unconnected to the quality of your business. The more work you put into your company’s online reputation, the more control you have over what appears when consumers search for your products or services, even when negative feedback arises. Depending on where they are posted, negative press and bad reviews garner a lot of attention on the internet, from both search engine algorithms and readers. According to data presented by the Pew Research Center, roughly half of adults use the internet to check reviews before purchasing a product or service, especially in the 18 to 49-year-old age group, which encompasses a large portion of American consumers. 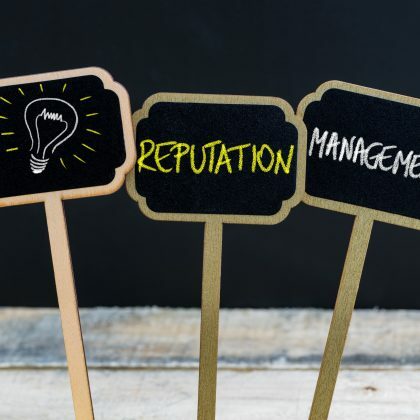 A good online reputation management strategy is key to protecting your business from the harmful effects of negative press and makes bad news or reviews about your company less detrimental to your firm’s overall success. There are two ways that consistency is crucial to your ORM strategy. The first is to maintain similar visual and voice branding across each of your internet marketing platforms, and the second is generating content on a schedule. Failing to commit to brand consistency across social media channels and online review sites blocks a company from being immediately recognizable to target audiences and clouds the message that the brand is attempting to convey. Consistency across online marketing channels helps a business’s brand to appear more authentic, and data presented the firm Pardot Research suggests that a company’s “authenticity of content” affects whether or not 80 percent of people are willing to follow a brand. In this case, “willingness to follow” translates to brand loyalty, and businesses who don’t produce consistent content in both voice and visual forms are missing an opportunity to gain consumer trust and increase their credibility. The second mistake that businesses make with regard to consistency is not generating content on a schedule. The company that works irregularly on content generation and customer engagement and neglects the accounts that they’ve created to establish a positive internet reputation can end up hurting your business’s image. If routine posts and strong online engagement lead to increased credibility among consumers, failing to maintain a consistent ORM strategy can have the exact opposite effect. The internet has undoubtedly become the primary location for the exchange of ideas and opinions among a very diverse world population, but business leaders who hope to establish a positive online reputation for their companies would do well to forget that. According to research presented by an article from the Harvard Business Review, 64 percent of consumers say that sharing values with a company plays a primary role in how much they trust a brand. Company owners who choose to use their business’s online channels as a platform to voice their own social, religious, or political views run the risk of alienating portions of their existing client base and deterring new clients from choosing to use their products or services in the future. Just as it’s better for your business if you strictly separate your personal views and professional branding on internet marketing platforms, it’s also important to separate your professional responses to negative reviews from your personal feelings about the bad feedback. Sending angry emails to the author or posting abusive rants are both approaches likely to do more harm than good for your online reputation. First, in doing so you give the content author more ammunition for establishing a smear campaign against your company, which can ultimately do more damage than the negative review or comment could. Secondly, the more that you engage with the negative content, the stronger and better established it becomes in your search results. This is because search engines like Google rank websites based on factors such as how often they’re visited, how many links are directed to them and how often new content appears. By visiting and commenting on the website or by giving the author more information about you to post, you’ll be helping others find the misleading information. Though navigating the process of writing a response to inflammatory content can be complex and frustrating, it’s equally important that your business does not completely ignore customer feedback, whether good or bad. According to a survey from 2012, whether or not a company responds to feedback posted on social media forums matters to around 60 percent of people. Further, online complaints that go unanswered can cause almost 90 percent of consumers to be less likely to make a purchase from your company. For positive reviews, a simple “thank you” and acknowledgement of a person’s support of your company can go a long way toward building greater customer advocacy. It’s not necessary to post the same two-word “thank you” to every one-sentence review you get, but whenever someone goes out of their way to sing your praises in detail, you should go out of your way to thank them. For negative reviews, respond publicly to angry customers, but do so without defensiveness. Take a problem-solving attitude, acknowledging the person and offering to find a solution together. In cases where the complaint is valid, consider privately contacting the customer to offer a discount or a free product or service as reparations, no strings attached. Never ask customers to change their reviews, or attempt to bribe them into doing so. More often than not, a reviewer who sees you earnestly making an effort to make things right without asking for anything in return will remove the original review, or update it to make it more positive. SEO is a major business marketing buzzword in the age of the Internet, and though many company owners are familiar with what it is and why it’s beneficial, they don’t realize that there are two ways to use it: one that can elevate your business’s online reputation, and one that can harm it. Whitehat strategies use SEO as a way to draw readers to high-quality information about topics relevant to the keywords that they type into a search engine like Google. Search engines are primarily centered on the goal of positive user experience, and using whitehat SEO practices allows your business’s websites and social media platform to become a valuable part of conversations in your industry. The unfortunate part about whitehat SEO is that this strategy takes time: building your online reputation and creating value for your customers is rarely done overnight. Because of the time investment it takes to engage in SEO authentically, some business owners turn to a practice known as blackhat SEO to quickly boost a company’s search results through practices like keyword stuffing, inserting invisible text, creating doorway or redirect pages, link farming, website cloaking, and cutting and pasting content from other websites. The unfortunate effect of these practices is twofold. First, your website becomes less valuable as a resource for customers, which lowers your credibility. The work you put into blackhat SEO practices is a temporary fix and ultimately a waste of time that would have been better spent one whitehat strategies. Second, once a search engine identifies that your business is using disreputable blackhat SEO practices, it may punish you for it by suppressing your website and taking it entirely out of search engine rankings. Survey data from a 2017 BrightLocal research effort showed that over 90 percent of consumers indicated that they seek out online reviews of a business to determine the quality of its products or services prior to purchasing. In light of this statistic, it’s understandable that many business owners look for ways to improve their reviews online. Unfortunately, many firms make the mistake of posting fake customer reviews to boost their star average on websites like Yelp and Google Reviews. Influential websites like Google and Yelp have algorithms and practices in place to help weed out false customer feedback, which will make any work you put into generating fake reviews irrelevant. That time and effort will be best used if applied to earning genuine reviews from loyal customers. Additionally, purchasing fake reviews can be as harmful as generating them yourself, as research shows that consumers are aware of the fact that companies are purchasing fake endorsements. A company that is discovered to have faked their reviews loses credibility and consumer trust, which can have a significant negative impact on your online reputation as well as your bottom line. In addition to posting fake reviews, another related mistake that business owners often make is not actively soliciting online reviews from satisfied customers. A customer with whom your business has established a trusting, positive relationship will have a much more genuine effect on your online reputation; one that reflects the quality of the work that your company does, and holds none of the risk of posting fake reviews. Don’t miss out on the opportunity for positive press and remember to ask for feedback on specific websites when a customer seems satisfied with your services. Some companies will offer to submit your website to thousands of search engines for a fee. Before you go for these quick-fix solutions, ask yourself if they make sense. How many search engines do you use? Probably one, maybe two. Whatever these thousands of sites are, they’re unlikely to affect your search results in the top five search engines used by 96 percent of the people on the planet. Blackhat SEO and link farming just don’t work, though lots of people will take your money and tell you that they do. Online reputation management consists of creating quality content and using SEO best practices to help people find it. Your goal should be to improve the quality of the Internet experience, not to buy into costly online reputation management mistakes. Think about it: malicious or defamatory content that hurts your online reputation also decreases the usefulness of the Internet. So does posting spam to try to hide it. Only if you provide legitimate content are you likely to improve search quality. Though there are plenty of companies offering ORM services that will do more harm to your online image than good, there are others qualified to operate legitimate campaigns that improve your standing on the internet. ReputationDefender is a company that offers authentic reputation management services to strengthen and repair the image of individuals as well as businesses. Give us a call and we’d be happy to give you a free consultation on what you can do to improve your online reputation.